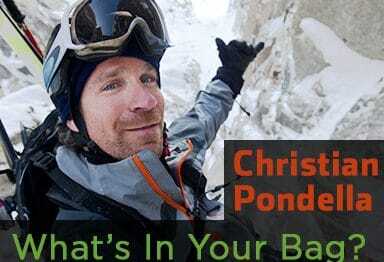 Krystle Wright - Adventure Photographer - What's in your bag? 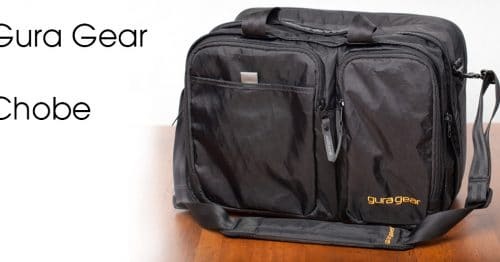 Home » Gear » What's In Your Camera Bag? 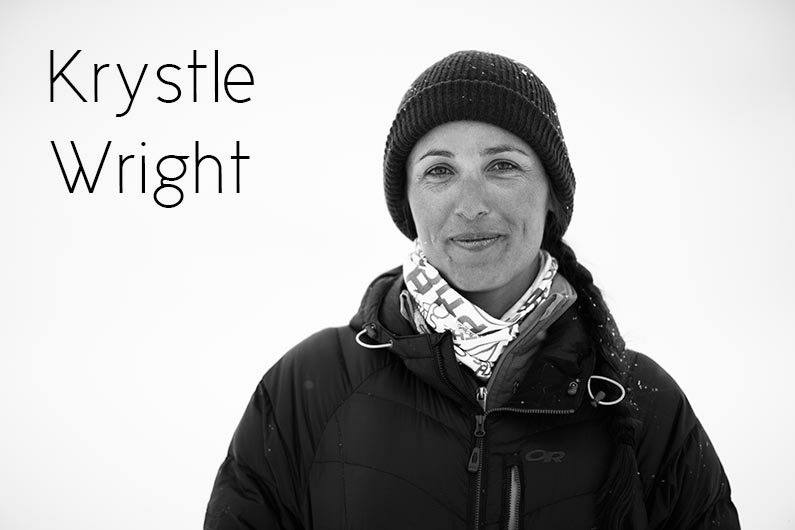 » Krystle Wright – What’s in your bag? Posted by Dan Carr | Sep 2, 2015 | Gear, What's In Your Camera Bag? Australian photographer and filmmaker, Krystle Wright, has what many people would consider the “dream job”. 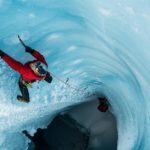 As one of the world’s leading adventure photographers, she’s perpetually on the move and seemingly always carrying an interesting array of camera gear to help with her work for clients such as Red Bull, Outside Magazine and National Geographic. Whether it’s camping with BASE jumpers in the Arctic, or freediving in Vanuatu, Krystle always seems to capture a very unique perspective. Krystle recently posted this gear shot on her Instagram feed so I thought it was about time we called on her and added her to the What’s in your bag? series. Even in the airport on the way to her next adventure in the Australian Outback, she graciously answered my questions which you’ll find below. You can buy or rent the whole film over on ReelHouse. – I see you’re using the new 5Ds R. What have been your first impressions of that camera, and have you had to adapt your workflow or gear in any way to accommodate the much larger files sizes from it? I just received the 5Ds R on Tuesday and as I write this, I get to first test the camera out in the Kimberley’s as I am getting ready to be dropped into the thick of it and walk through the desert for a week. Though after testing the 5Ds, I love the files that came out of it. Even though I had to deal with bigger files, the dynamic range had improved greatly and of course much more detail to work with in the image. Western Digital’s new My Passport Series are great as traveling with the 2TB and 3TB series are compact and small. 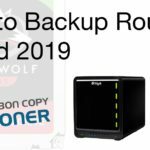 I just recently included a 24TB NAS System and now my back up system is really streamlined as I can also back up to the NAS system from anywhere in the world as long as I have a internet connection. – Your second camera is a 1D C which isn’t something you see that often. It seems like a good choice for someone such as yourself, who’s shooting photos and video. Is that why you chose it? On the odd occasion when it comes to expeditions, I am asked to film as well as shoot stills. Having the option of the 4K filming is definitely ideal but I also really do enjoy just shooting stills as the camera is an absolute workhorse with the 10-12frames a second. Plus when I do need to shoot high speed action then I’ll favour this camera for sure. – I also see the 24mm Cine lens in there. I love those things, but they’re quite a bit larger than their photographic counterparts. What is it that you like about that lens? What have you been using it for? I recently added the 24mm Cine Lens for simply changing up my gear a little. I felt like I hit a stale point and wanted to get really excited about photography again as I had a phase of being stuck on the computer and working too much on maintaining the business and felt the creativity flatline a little. I know the lens is slow with only manual focus but I’ve been using it for both film and stills. I love creating personal projects where I do have the time to play and the images I have from the lens are beautiful! The construction of the lens is just dreamy and it’s been great for some portraiture and landscapes. – With an eye on your Goal Zero gear, you’ve obviously got plenty of experience keeping your camera going while you’re off the grid. Do you have any tips you can share in that area? What’s your favourite piece of Goal Zero gear? 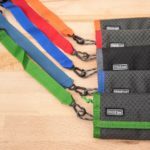 Whilst being off the grid for long periods of time, the best piece of advice in maintaining the charge is to have a system organized. As soon as you let your guard down on expeditions and become lazy, suddenly you don’t have any batteries left and therefore missing the opportunity for stills. I make sure the all the gear is charged before leaving and that way there is one full charge to work with but anytime the sun is out, I have the panels out whether its a base camp setup and the panels can just hook onto the tent or if I am on the move, I can easily run a panel on the outside of the pack and have the cable running into my top part of my Tilopa Bag. My favorite piece of gear at the moment is the Venture 30! Its small, light, rugged and I’ve been able to charge my iPhone at for days at a time as it holds a lot of charge for a small device. I also love music so its hard to not love speakers that have their own panels as well. – What’s the second laptop for? Rarely I would ever travel with two laptops. Though with the kit photo I did want to show I did own two laptops in my gear swag as it changes for every trip. (Macbook AIr 11inch and MacBook Pro 15inch) On expedition where I need to travel light and fast, I use the Macbook Air as its great for dumping my media onto hard drives whilst also doing minimal editing. Otherwise if weight is not a concern, I’d travel with the MacBook Pro as its much easier to work on when pushing through a large amount of editing work. Plus every time I transition from working on the MacBook Air, I feel like I’m seeing plasma screen on the Macbook Pro as suddenly the bigger screen feels huge and it’s far better to work on for long hours. 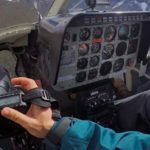 – The Aquatech kit seems like it’s a big part of the work that you do. I think a lot of people would only associate that kind of gear with surf photographers, but you make use of it for all kinds of things. What has been your favourite shoot where you’ve put this to use? 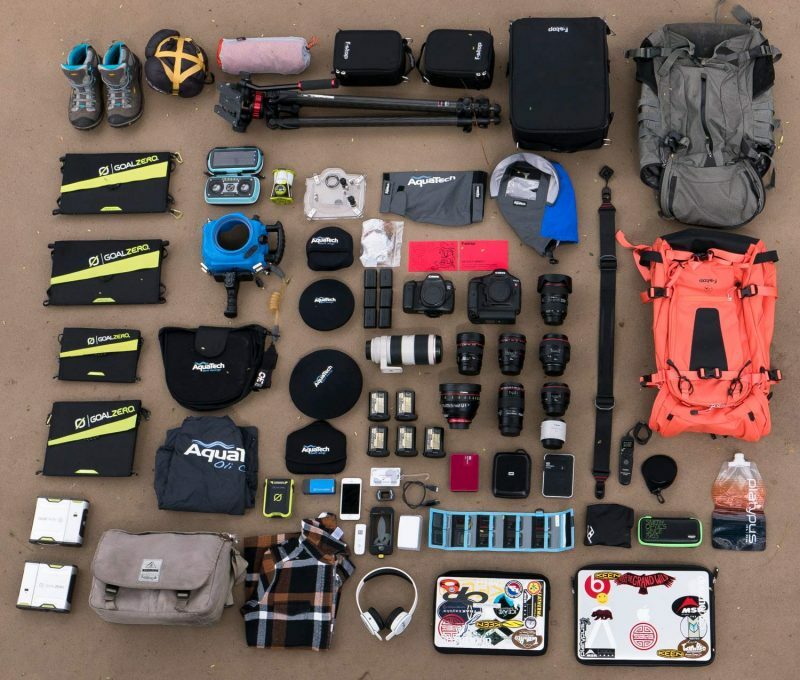 Do you think all adventure photographers should get to grips with that kind of gear? Handy that the 5Ds R is the same body as the 5D 3, I guess that meant you didn’t need a new housing! It definitely is! And yes thankfully with the new upgrade of the 5Ds R, I don’t have to worry about getting a new kit! I love shooting surf when I can though as you’ve seen in my work I’ve used the housing a bunch for freediving which has been a huge passion of mine for the past few years. People think with freediving that you need to be shooting at great depths but once you dive deeper than 10-12m, the light simply fades and nothing much really changes. It’s amazing what images you can achieve within 10m of the surface. Plus the AquaTech housing is light and small to work with. I also got an extension trigger pole when I was working as a guide on the tourist ships in Antarctica and as I chauffeured the guests around icebergs, I would have opportunities to dunk my camera into the water and shoot the icebergs underwater along with some wildlife as the Minke whale encounters were incredible! As well as penguins, leopard seals and more. – What’s next on the agenda for you? Where are your travels taking you? Right now as I type out this email, I am flying to Western Australia as tomorrow I get to be heli dropped to a GPS location in The Kimberley’s and meet up with Sarah Marquis who is a National Geographic explorer. Then we’ll walk together for a week as I document the end of her expedition as she’s been out bush for the past 3 months walking across The Kimberley’s. Then I’ll have just two days on the Sunshine Coast to changeover and head up to the Great Barrier Reef to join a Kitesurfing trip whilst sailing to all the best locations for kite surfing on the Reef. Usually I am traveling globally though for the next two maybe 3 months, I am pretty excited to be pursuing projects in my home country as there’s so much to see here. And if all works out, I’m hoping to create a project in Tasmania in late November. Though once the snow starts falling in the Northern Hemisphere then I’ll be heading to either BC, Colorado, Utah. 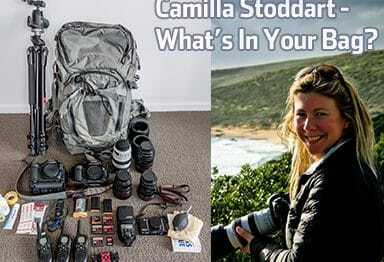 Camilla Rutherford - What's In Your Bag?